I found this awesome site and thought you might like it too. 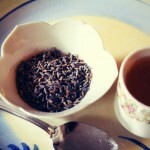 The link is athttp://www.sodura.com/lavender-tea-helps-to-soothe-diarrhea-and-vomiting/. I recently remembered this home remedy, because my daughter got a little bit of a stomach virus with diarrhea. She is just under 3 yrs old, and I try to treat our family with gentle remedies before resorting to other means, which is one reason why we use natural finishes on our kids furniture. 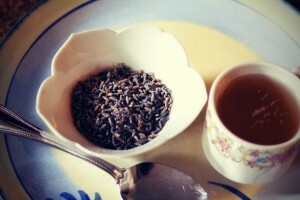 I learned some time ago, that lavender is good for diarrhea and also vomiting. Very useful for when traveling over seas. I just gave her a little tiny cup of lavender tea, and it seemed to do the trick, along with a bland diet. But I usually give another cup of tea a bit later if the first didn’t seem to help very much. You do not want to over do it. It’s better to have a little bit more frequently than a lot at one time. Put the dried lavender in the tea bag or tea strainer and put it in the hot water for a few minutes to steep (or you can put it directly into the hot water and strain it out after it steeps). Add honey to taste and let it cool a bit before giving to little ones. It should help the symptoms of diarrhea and/or vomiting, but it will most likely not get rid of what is causing the sickness. So, if your symptoms seem to last longer than expected, please go see your doctor!